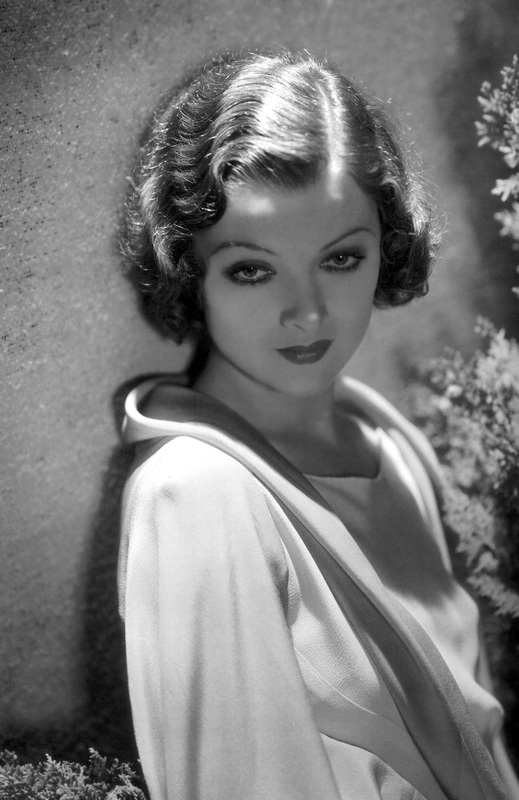 The Bogey to the Bacall of Myrna Loy, William Powell was born today, 1892. 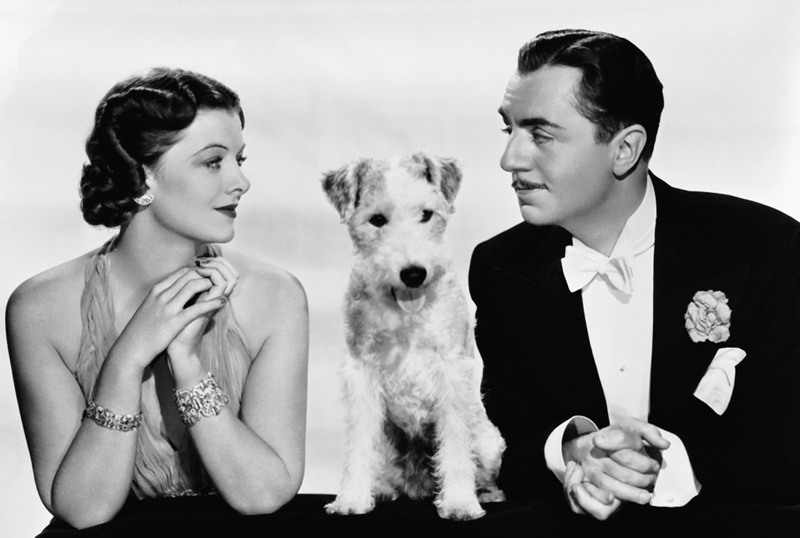 William Powell and Myrna Loy paired up for no less than fourteen movies, including TheThin Man, The Great Ziegfeld, and Manhattan Melodrama. It's enough to keep a man busy, but WP still had time to play roles in nearly a dozen episodes of Lux Radio Theatre, one of them an adaptation of The Thin Man. He also lent his acting chops to The Cavalcade of America and The Kraft Music Hall. And if you think Loy's partner never appeared on Suspense, think again. He starred alongside John Dehner and Joseph Kearns in a 1953 adaptation of "The Man Who Cried Wolf." Other Suspense appearances teamed him with Anne Morrison, Paula Winslowe, and Jack Kruschen. We salute the birthday of the late William Powell. 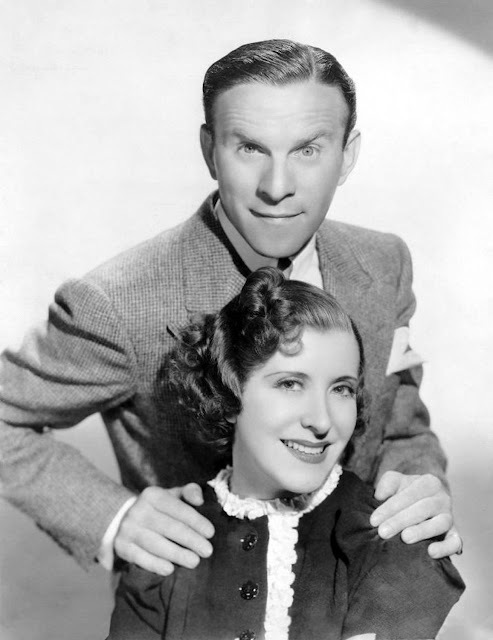 If the great comedian, George Burns, had a great love of his life...it was Gracie Allen. Miss Allen was born July 26, 1895 (at best guess as her birth records were lost in the great San Francisco earthquake and fire of 1906) and through her illustrious career, she endeared herself to the hearts of millions of fans around the globe. She made her first appearance to the masses at the age of 3 when she performed with Eddie Cantor. As part of “The Four Colleens”, she and her sisters performed irish dances and eventually ended up on vaudeville with her older sister Bess. In 1922 she met a young comic vaudevillian named George Burns and teamed up...both on stage and in life. In their act, Gracie originally was the straight force of the duo, but as she was receiving the laughter for her less than “all there” approach to dialog. Gracie Allen became the focal point of the jocularity. In reality, Miss Allen had a keen I.Q. and was very articulate. Their success on the stage carried the husband-wife team perfectly onto radio. By the 1930’s, their rapporte of wit and witticism became a huge portion of their popularity on the air waves. As the 40’s rolled around, their situational radio comedy program, “Burns and Allen”, blossomed into a generational approach to humor. Gracie and her “illogical logic” made each episode a delight and favorite with the listening public. She might make you scratch your head trying to figure out the explanation or phrase she gave to each quip or barb flung her way...yet she never fell down for lack of something to say. She and her husband played off a stunt that lasted most of the election year of 1940 when they ran for President and Vice-President under the Surprise Ticket. Gracie Allen received over 40,000 votes that November. Over the years their program made it to television and film and they were a continual favorite among the american audience. In 1964, Gracie Allen lost her battle with heart disease. When George Burns uttered the infamous line, “Say goodnight Gracie”...she did for the last time. 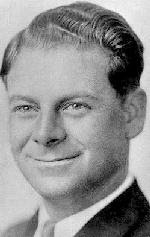 Born July 25, 1898, Al Pearce would early on become a name to remember...both musically and comically. The man who eventually penned the catchphrase, “Nobody home, I hope, I hope, I hope,” as a nervous door to door salesman, came to be one of the early on favorites to reach America at home. Pearce began his work history as a real estate salesman; but also did sang on-air for a glee club in San Francisco in 1928. He would later change over to comedy for KFRC in the Bay area, doing a sketch as a nervous door-to-door salesman...Elmer Blurt. 1928 was a busy year as Al Pearce began the Happy Go Lucky Hour for KFRC as Pearce and his gang grew in popularity as a musical-comedy hour. In 1932, the program moved over to a new network, Blue Network, airing Saturday evenings and twice weekday evenings. By the mid-30’s, his program brought on-board talents such as Arlene Harris and Morey Amsterdam. Pepsodent came along as a new sponsor and the show continued strong on NBC. His program bounced around between CBS and NBC for almost 10 years (1944). He would do guest spots for Armed Forces Radio during the waning days of WWII. Pearce was one of the few radio stars to gain a star on the Hollywood Walk of Fame. In 1961, Al Pearce passed away. He would not be knocking on any more doors or heartstrings. 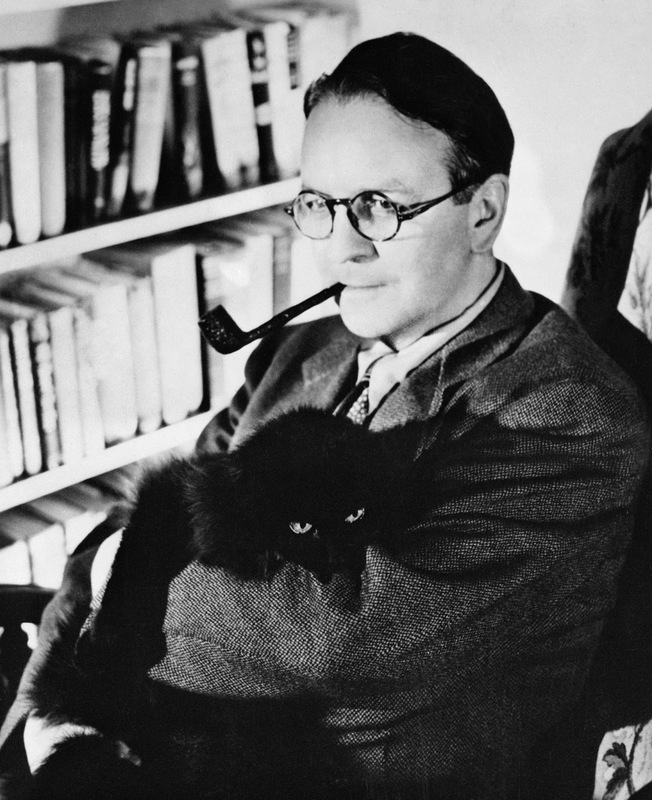 Raymond Chandler was born on this day in 1888. The names of his famous novels may not be as recognizable as that of his most famous protagonist, the detective Philip Marlowe. Marlowe, a sort of template for jaded detectives, was introduced in Chandler's novel The Big Sleep. The memorable character got his own radio show, The Adventures of Philip Marlowe, in 1947. Gerald Mohr is the best-known of the voices of Marlowe. Rayond Chandler himself was a self-taught writer, entering the craft after losing his job with the Dabney Oil Syndicate. He was a loyal and avid Los Angelino, making that city essentially a character in his prose. The hard-boiled detective story was a staple of old-time radio, and one of its best practitioners was Raymond Chandler. “The only white woman that sing the blues” was Kay Starr. Praised this way by Billie Holiday, one of the great jazz singers of her time; Kay Starr still lives and is remembered as one of the all-time shining performers of her early days. Kay Starr’s light began to shine on July 21, 1922 when she entered this world. 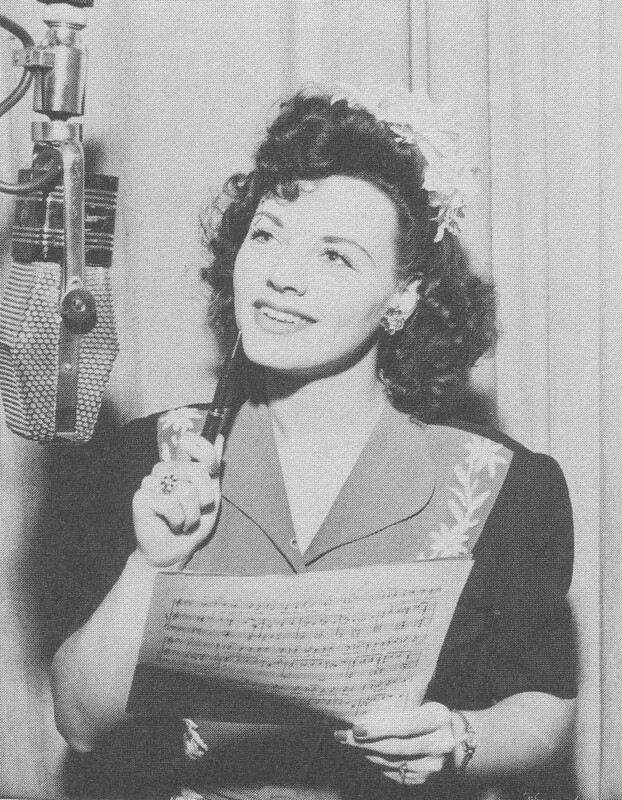 In did not matter the musical genre; Miss Starr made a name for herself as a mainstay in any of them, vocally. At the age of seven, Kay Starr made her singing debut on radio station WRR in Dallas Texas. After winning a couple of this contests on the program, she was given her own 15 minute segment program to showcase her singing...at the age of 10. Through the years, Miss Starr performed with various bands and recorded for various labels; Victor and Capitol records to name a couple. She has sung with names like Pat Boone and Count Basie. In the late 60’s she performed on radio again singing on the America’s Popular Music program. Some of her all time hits have included Wheel of Fortune, Rock and Waltz and The Man Upstairs. She could be heard on-air on The Great Gildersleeve show a few times in her early years. To think that this long history of making wonderful music and bringing merry to the hearts of millions all began with a young girl serenading a bunch of barnyard chickens. Kay Starr is truly a one of America’s finest. July 19, 1948: Our Miss Brooks went on air for the first time on CBS. It featured Gale Gordon and Eve Arden. Our Miss Brooks was a radio sitcom that featured Eve Arden as the title character. The series also had television and film adaptations, which ran from 1952-1956 and in 1956, respectively. Eve Arden was not the original choice for the role of Miss Brooks. CBS' director of programming from the West Coast wanted Shirley Booth to be the show's lead star, but they decided not to proceed with her. Their next choice, Lucille Ball, was already hired to portray the lead female role for the series My Favorite Husband. 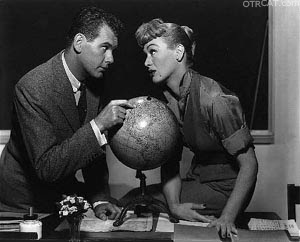 Bill Paley, the then chairman of the CBS network and a good friend of Eve Arden, encouraged her to audition for that role, which she eventually won. Arden's role in Our Miss Brooks allowed her to win Radio Mirror magazine's poll for the best comedienne of 1948-1949. Harriet Hilliard was born on July 18, 1909 and grew up in Des Moines, Iowa. Later on as she got involved in vaudeville, she became a part of the band that Ozzie Nelson was band leading. They became a married couple a few years later and thus began the Nelson fame of Harriet Nelson through the years. 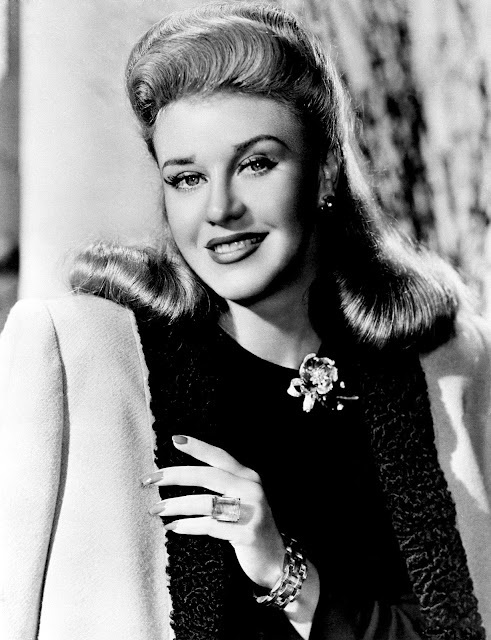 Although she had a comfortable career as a film actress under the Hilliard name; she felt it important to move on to handle her work with Ozzie in the band subsequent radio program. In 1944, Harriet began working with Ozzie on the The Adventures of Ozzie and Harriet, dealing with the everyday life raising 2 sons (David and Ricky). It took some time before the boys were actually able to perform as themselves for the radio show. early on, the rambunctious sons were portrayed by radio actors. The radio antics of this program grew so popular that ABC Television brought them on board to continue their program. Harriet Nelson brought a sense of stability to Ozzie’s impetuous character on the program. Harriet Nelson was so popular as a typical American wife and mother, that she often drew comments and questions from women seeking her advice. Harriet Nelson died in 1994 of congestive heart failure. Her husband and son Ricky (who was killed in a plane crash) preceded her in death and David passed away in 2011. Harriet Nelson still shines as every mother’s ideal. You'd have to be a dirty rat to not be familiar with the iconic work of James Cagney, one of Hollywood's notorious and beloved tough guys. He displayed the clench-jawed delivery of his famous lines in such classic films as The Roaring Twenties, Little Caesar, Mister Roberts, and The Public Enemy. 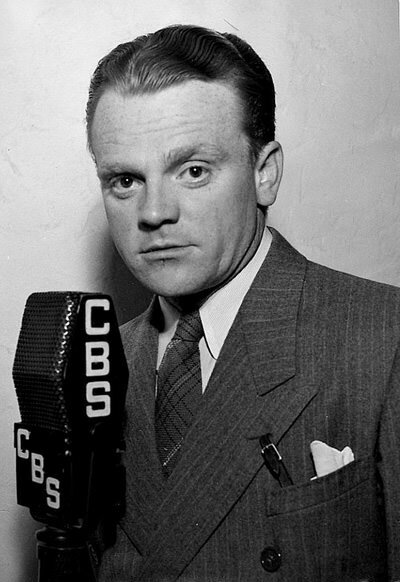 The New York-born son of a bar tender, Cagney also toured in magnificent performances on some of our most beloved radio programs, including Lux Radio Theater, Screen Guild Theatre, and The Gulf Screen Guild Theatre. In this capacity, he starred in several dramas, including some in which he'd already starred in on the silver screen, such as Yankee Doodle Dandy, The Strawberry Blonde, and Angels With Dirty Faces. July 12, 1946: ABC aired the Adventures of Sam Spade for the first time. 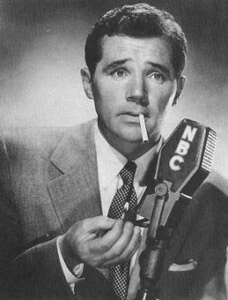 In this summer replacement series, Howard Duff starred as the radio detective from San Francisco. In 1930, Sam Spade appeared first time for the Dashiel Hammett novel ‘The Maltese Falcon’ and original film version of ‘The Maltese Falcon’ was featuring by Ricardo Cortez in 1931. In 1941, Humprey Bogart performed as Sam Spade in this movie. 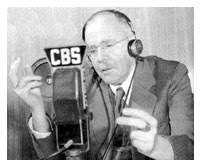 July 7, 1943: Flashgun Casey debuted on radio later to be renamed as Casey, Crime Reporter and got an instant fame. 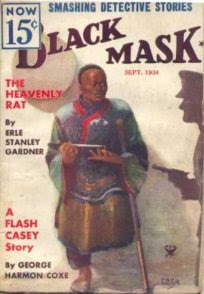 The old time radio series began as stories recounted in Black Mask magazine.